Your flooring is one the biggest contributing elements to the overall look and feel of your interior space. It’s one of the first things that family and friends notice when they step inside your home. 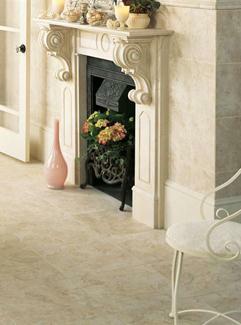 When you are looking to update your spaces by fitting your interior with a brand new flooring material’ choose tile. Creating an enviable look in your space is fun and simple when you turn to My Flooring America of Sugar Land. Don’t settle for the same, old style in your space. Give your interior space an elegance boost when you fit it with our breathtaking porcelain tile in Sugar Land, TX. At our fully stocked showroom, we proudly carry a wide selection of beautiful porcelain floor tiles fit for any space in your home. Available in a wide variety of spectacular designs, sizes, and styles, our tile is sure to enhance any room you’re looking to renovate. When you’re ready to fit your bathing space with new tile, you’ll find many high-quality selections in our expansive showroom. Offering more than just floor tiles, we also proudly carry porcelain shower tile. Finding the perfect porcelain tile product that’s sure to coordinate with your bathroom décor is easier than you think when you visit our expansive showroom. With a bountiful selection of porcelain tiles all in one place, homeowners have the opportunity to augment their space with an enviable appeal. Easily resisting the damaging effects of moisture and humidity, these tile selections allow you to augment your bathing space with eye-capturing beauty that will last. Available in a wide variety of spectacular designs, sizes, and styles, our porcelain bathroom tile selections are sure to enhance your washroom space. Ensuring your new porcelain tiles offer enduring beauty starts with installation from our trained professionals. Once you're satisfied with your selection, our team members will ensure every inch of your new floor or shower tile is placed perfectly. With our team on the job, you’ll be able to enjoy your selection even sooner than you thought possible. Our dedicated technicians have the skills and tools needed to leave you with clean, perfectly fitted tiles that offer a look that can be proud of for many years to come. Count on our team for comprehensive porcelain tile installation and we will see to it that you get the outstanding, elegant look you long for. Contact our specialists to learn more about our porcelain flooring and shower tiles. We proudly serve homeowners in Sugar Land, Missouri City, Stafford, Fort Bend, and Sienna Plantation, Texas.